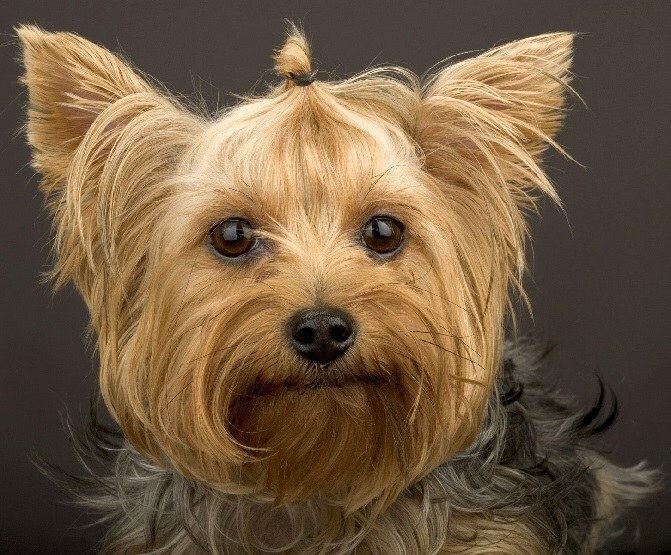 Yorkshire Terrier – one of the most popular ornamental breeds, and one of the smallest. These dogs, even reaching advanced age - and they live 15 years or more - are similar to cute toys. Therefore, the less the weight of the York, so it will cost higher, although the breed standard and does not contain the unit weight. The main part of the international canine standards sets the maximum weight of adult dogs in the range of 3.1 kg, but the standard of the ancestors of the breed – British, restricts his level of 3.2 kg. Lower weight border none standard no, but too little weight is also not welcome. However, some breeders are trying to bring Yorkshire Terriers "lightweight", using puppies from manufacturers standard weight, which as a result of any causes or hormonal disruptions, weigh less than the others in the litter. 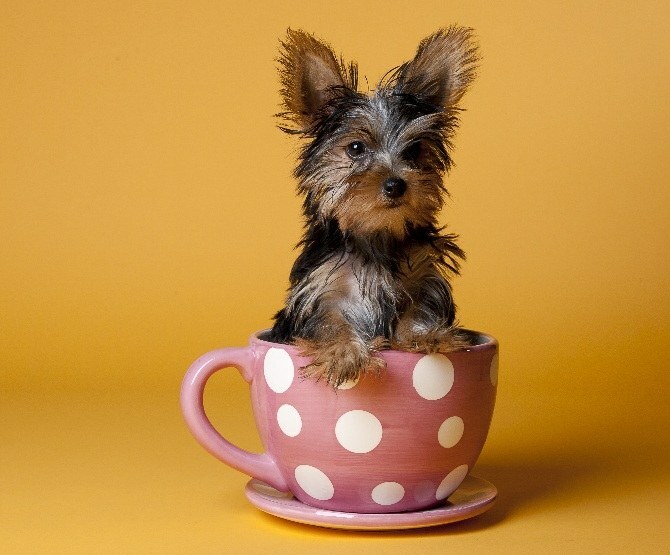 The result of breeding attempts in the direction of minimum weight of steel mini-Yorkie, weight is limited to 1.5-2 kg, and super mini Yorkshire Terriers, weighing from 900 g to 1.3 kg. But it is unlikely that these subtypes of York will be included in the breed standards, since they were not very viable and very often due to congenital abnormalities die before the age of 3 years. A dog cannot be sweet, salty, fatty and smoked. Meat – only white. Cabbage, legumes, potatoes, broth, juice, and eggs completely eliminate from the diet of the city. The weight of your puppy who is 6 months old, of course, depends on heredity. If you bought him as a puppy meet the breed standards, for six months it almost reaches its maximum size, because small breed dogs "grow up" much faster than large breeds, the backbone of which is completing to be formed only 3 years. Yorkies in six months, almost adult dogs, so their weight is unlikely to greatly increase, to a maximum of 100-150 Portrait of York, made in half a year will not be different from his photo in the year. Therefore, the weight of your pet by 6 months should reach 2.2-3 kg. Puppy mini Yorkshire Terrier at 6 months should weigh 1.4 to 1.9 kg, and the weight of super mini York by this time should be 0.8-1.2 kg. While puppies are growing, it is necessary to strictly control the feeding process and try to get the dog was overfed, but at the same time didn't go hungry. Most Yorkies still overfeed, because the rule is one flat tablespoon of food - the owner seems microscopic. If you feed your puppy prepared food, strictly follow the dosage recommended on the package. Because the Yorkie – lovers to eat, feed your dog strictly by the hour. Do not keep food in the bowl, remove it after 10-15 minutes after feeding. But fresh clean water at the feeding place should always be. Yorkshire Terrier recently became the breed is not only fashionable, but also status, a pet is perceived as a sign of financial well-being of the family. And this is understandable – the prices of these dogs can reach several thousand dollars. Moreover, the lower the weight of the York, the higher its value. Despite its small size, Yorkies are very proportionally, which does not hide even a thick, long and silky hair falling evenly on both sides. Yorkshirskiy Terriers characterizes agile and lively but equable temperament. Because this breed is bred in many countries, existing national standards may differ slightly in the description of physical parameters. 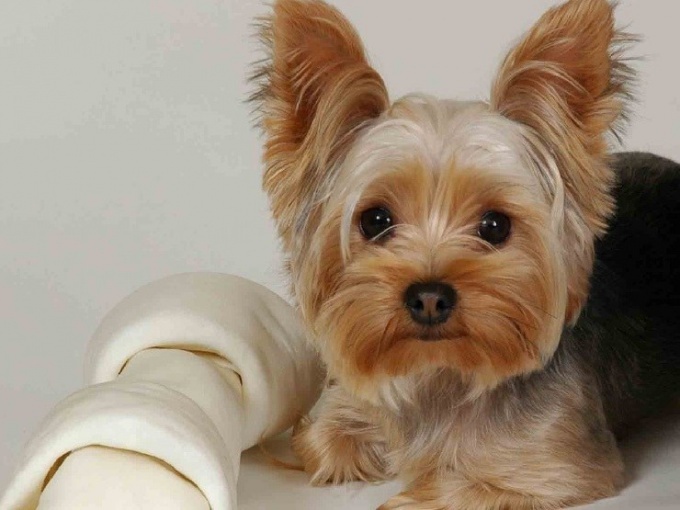 So, the standard weight established by the International Cynological Federation (FCI), for Yorkies is 3.1 kg. This value is the maximum given and the standards of the American Kennel Club (AKC). The ancestor of the breed is the United Kingdom, the British kennel club (UK KC) set the maximum at around 3.2 kg, but the standard of the International Kennel Union (IKU) is the highest and amounts to 3.5 kg. If you adhere to the standard set by the Kingdom, most preferred are individuals whose weight is from 1.8 to 2.7 kg, average height at the withers – 28 see All of the standards relate to the faults exceeding the maximum weight, and although the minimum weight in them in any way not specified, it is noted that a value of "not welcome". However, there is an informal graduation, which yorkshirskiy Terriers weighing more than 2 kilograms are classified as "mini", and those whose weight is 0.9 to 1.3 kg in class "super mini". They are of course more expensive than a dog of standard size and weight, but individual species are not. The appearance of these "kids" in litters from parents with a standard weight, is a coincidence, and all attempts of breeders to bring a new kind of Yorkie is smaller, as a rule, are not crowned with success. By purchasing this puppy, you should clearly understand that this is a lot, but the breeder you about this may not to say. The fact that small species, in their majority, have health problems, which can be revealed only after some time. The most serious abnormality is an abnormal position of the liver, which causes death of the dog in 1-3 years. In addition, these "kids" are sensitive to any infection and they require constant watch at the vet. A normal dog standard weight does not need constant veterinary care, rarely sick and live on average to 15 years.